While ten years ago digital transformation may have seemed like a mere consideration for many businesses, today it’s becoming more of a necessity. Digital technology is a huge driver of some of the biggest changes we’ve seen over the past twenty years. Technology has evolved way beyond tools to plant itself into every aspect of our personal and professional lives. We’re in the midst of the Internet of Things and we’re using internet-enabled devices for almost everything. Digital transformation is moving fast, and much faster than many of us expected. In order to stay relevant and keep up, organisations developed before the digital age simply have no choice but to transform. So how can ECM support digitisation now and into the future? It’s no secret – companies that are able to quickly create, capture and harness information and data to support business decisions are the most successful. 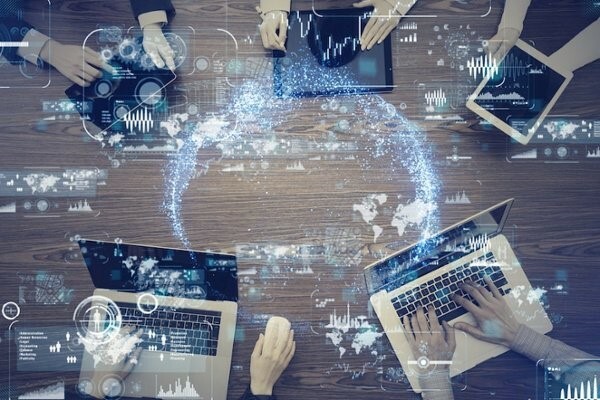 Whether on-premise or in the cloud, Enterprise Content Management (ECM) is already playing a huge role in helping businesses deal with the complexity of data and assets that need to be managed. While ECM has revolutionised and continues to revolutionise the way businesses manage their information, Enterprise Content Management systems (ECMs) themselves are undergoing their own transformation. With the expanding volume of data being said to increase tenfold by 2020, the role of Artificial Intelligence (AI) in ECM is likely to become a necessity. This is the kind of content that is truly rich and most valuable to an organisation. So, employees should be able to access and share it at the point of need with relative ease. The key to facilitating this is technology like AI, machine learning and natural language comprehension. By cutting out manual and labor intensive tasks, all available information can be categorised, accessed and shared through Intelligent Automisation (IA). IA is not only capable of handling data faster and more accurately than humans, but it’s also capable of learning from that data to provide better results over time. What are some ways that AI will make ECM even better? While optical character recognition technology enables text recognition, AI can ramp this up a notch by having the ability to read information in a document, categorise it and automate a workflow based on that classification faster than a human ever could. The even better news is that the process will only get faster with repeated action, exposure to more documents, and machine learning. AI is able to perform text clustering, which is grouping documents by topic without prior classification. This can help businesses to understand how one group of documents might be similar to others and help them make conclusions that prior to this, wouldn’t have been possible. A good example of a company who already does this is Google; Google News uses text clustering to group related articles into separate categories. AI can also impact how information is extracted, for example, through voice search queries, visual searches and more. These AI-powered capabilities are expected to be staple features of ECMs in the not too distant future, allowing users to easily and efficiently find the content they need. Not only will future ECMs have the ability to make intuitive data suggestions, the interface of an ECMs could potentially morph to suit the user’s actions, patterns and habits. Not only through showing frequently visited categories or topics, but also through customising an interface based on the way a user works. Could your business benefit from an ECM system? Delivering a seamless and optimised experience is important to not only customers, but also employees. Is the content available when they need it? Can they find it on a mobile device and in any timezone? Strong ECM allows for engagement and collaboration across a business, and if you’re looking to digitise, an ECM solution is a good start. If you’d like to ensure you choose the ECM solution that’s best suited to your organisation, download our helpful ECM checklist now.